PARTNER NEWS: Alzheimer’s Research UK (ARUK) is using Bluetooth Low Energy (BLE) beacons on digital payment solutions provider Proxama’s beacon network to promote its Santa Forgot Christmas campaign. The video is being shared across buses, taxis, cinemas and convenience stores in London. Narrated by British comedian Stephen Fry, the campaign is running for a two-week period, ending on 10 December in collaboration with Proxama’s media partner Exterion Media, Ubiquitous and Primesight. Proxama secured deals with media and location owners Mobile Media Group, Emblem Group and Hathaway Chivers to create the UK’s biggest Bluetooth Low Energy (BLE) beacon-based advertising platform in October 2016. The company also gained certification from Google to deliver a range of consumer experiences using the Eddystone open beacon format in September. Proxama PLC, the leading mobile proximity marketing experts, today announces that Alzheimer’s Research UK (ARUK) has used beacons to promote its ‘Santa Forgot’ Christmas campaign to boost awareness and donations for the charity. The ‘Santa Forgot’ campaign kicked off with national TV and multimedia promotion last week. The charity used Proxama’s beacon network to share their promotional video across buses, taxis, cinemas and convenience stores – both in-app and via the Physical Web – to Londoners via their smartphones. Proxama’s beacon network is enabling Alzheimer’s Research UK to reach consumers who are in periods of high dwell – often at transport hubs – over a two-week period starting the 26th November directly via their mobile. Narrated by Stephen Fry, the campaign will be running from 26th November to 10th December, in collaboration with Proxama’s advertising and out-of-home (OOH) media partners Exterion Media, Ubiquitous and Primesight. The attention-grabbing concept highlights the varied symptoms and social isolation of dementia and raises awareness of the diseases that cause it, most commonly Alzheimer’s, strikes indiscriminately and can affect anyone, even Santa. Santa Forgot’s central character is a young girl called Freya, who has grown-up in a world where Santa has stopped visiting on Christmas Eve. On learning about Santa’s condition, Freya travels to the North Pole. She offers her own support and re-mobilises the redundant elves as researchers, explaining her belief that ‘if Santa has a disease, research can find a way to fix it’. Proxama PLC is the leading mobile proximity commerce company. 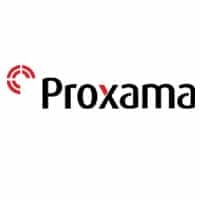 Proxama specialise in transport based mobile proximity services, using Bluetooth beacon-led technology, to deliver the most accurate and reliable mobile location and behavioural data for digital advertisers and agencies. Proxama’s award-winning mobile technology platform, Tap Point®, enables brands to connect physical and digital assets via mobile to increase consumer engagement across transport networks and high footfall destinations. Proxama are also one of only two companies in the world and the first in Europe to be certified by Google as a Location Services Provider, so that they can offer services and experiences based around Google’s open beacon format, Eddystone.